For more than 30 years, NSA-DC has been serving the professional communicator in the Greater Washington, DC metropolitan area.  Founded by John Jay Daly, NSA-DC supports members in advancing the fine art of public speaking; increasing the visibility of speakers in the region, and educating the next generation of professional speakers. Our members include professional speakers, trainers, coaches, facilitators, authors, educators and meeting planners. .. We take pride in our ability to continue our reputation as one of NSA’s most successful chapters nationwide.